X5 Wellness | Lasting change through deep learning. Why do most core training programs fail and what can we do to succeed in building core strength for a lifetime? Core training has been a centerpiece of every exercise publication for both men and women for decades. And yet the dream of having a strong muscular core or a trim waist seems to elude most people. 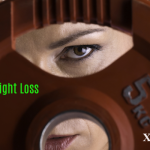 How can the rate of obesity increase with thousands of research papers, articles and now videos targeted toward ab exercises, core training, and weight loss? If we want to step out of the cyclical trial and failure, we need to take a different approach. If we want to make sure that we can build a strong core this time around, we need to do something different. We need to understand some of the basic challenges. We need to analyze, plan and act instead of acting without analysis and planning. Think about the following two commands. Command number one: Shoot, Get Ready, Forget Aim! Command number two: Ready, Aim, Shoot! Doesn’t matter how many times you follow the first instruction, it is unlikely that you’ll ever hit your target. To consciously hit a target we must aim for it, and before we aim, we must get ready. An ab workout routine for an ultimate fighting competitor is very different than core strengthening exercises for a mother who gave birth a few months ago. They each have unique challenges. The best ab exercises for a tennis player would not be the same as a long-distance runner, even if the core muscles for both of them were the same which is not true for men and women. Core muscles for women are not the same as men once you move beyond the limited definition of four layers of abdominal muscles. Strengthing pelvic floor muscles is part of core training most neglect. Muscles of the pelvic floor are one of the fundamental anatomical differences between the core muscles of men and women. These considerations are part of the analysis and getting prepared before aiming for six-pack abs or a strong core. 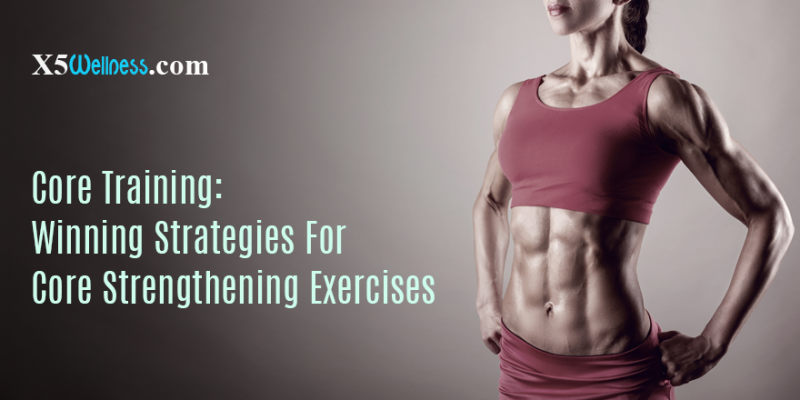 The first stage of winning strategies for core strengthening exercises begins with gathering information and analysis. Gathering information is not about what happens outside of you. The major part gathering information is what is happening inside you. What goal do you have in mind? How significant is the goal to you? How do you feel about the goal and the effort that it takes in reaching it? What are the obstacles that have stopped you in the past? How can you prepare differently so that the same obstacles cannot stop you in the future? The second stage is preparation. Thoughts management, emotional management, time management, nutrition management and resource management are part of this preparation. For example, a stressful day without the ability to manage the stress could easily impact focus, time, the type of food we eat, the nutrients we consume, the exercises we choose and our results. The third stage of this process follows the command: Ready, Aim, Fire! Execution of your plans is the firing part. Most of the information you access these days about best ab exercises beginning with ab workout routine and how to strengthen your core relate to the last part of the strategy, the firing stage. They skip the first two. Since the word of strategy implies a plan without a comprehensive plan, a single part of a plan cannot be called a strategy. A single part of a plan is just an idea that cannot last even the smallest stresses of our daily lives. Below is a list of question categories to help you get started on creating a plan, a long-term strategy to reach a goal as well as short-term tactics that help you deal with unexpected daily surprises. What goal do you have in mind? Is it a SMART goal? In other words, is your goal Specific, Meaningful and Measurable, Actionable and Achievable, Relevant and Realistic, Time-bound? What are your strengths? These are the inner qualities that help you sustain your efforts until you reach your goal. What are your weaknesses? These are your inner stumbling blocks that interfere with continuous effort. What are the opportunities? These are the opportunities the external world presents to you to help you reach your goal. What are the threats? These are the headwinds you must overcome to reach your goal. What steps are you taking to focus your thoughts? What steps are you taking to direct your emotions? How does your workout plan fit the rest of your life? How does your core strengthening routine fit within your larger workout plan? How do individual exercises fit within your core training routine? Are individual exercises synergistic without redundancy and omission? How do you plan progression so that you move forward instead of going in circles? How do you keep track of your activities and progress? These strategies address the real problems surrounding core training. However, you do not find these under lower and upper abdominal exercises or in fitness stores. The incredible part of this process is that it applies to every aspect of life beyond fitness and even wellness. Once you learn the process, you can use it everywhere.